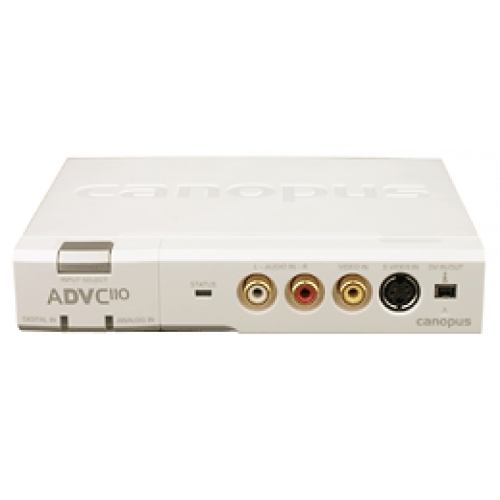 The Grass Valley ADVC110 is a high-quality, bi-directional analog/digital video converter. 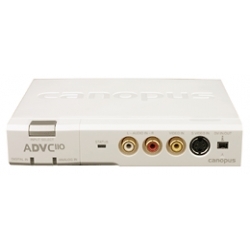 Conversion is accomplished by transferring media data from an IEEE-1394 FireWire port and outputting through composite and Y/C video and unbalanced stereo audio connections, and vice versa. Note: For use with 4-Pin FireWire port an optional power supply is needed. Note! A video capture card or OHCI FireWire (IEEE 1394) connection is required to capture DV.